It is similar to babies that the reflex of are from 4 to 6 months old. 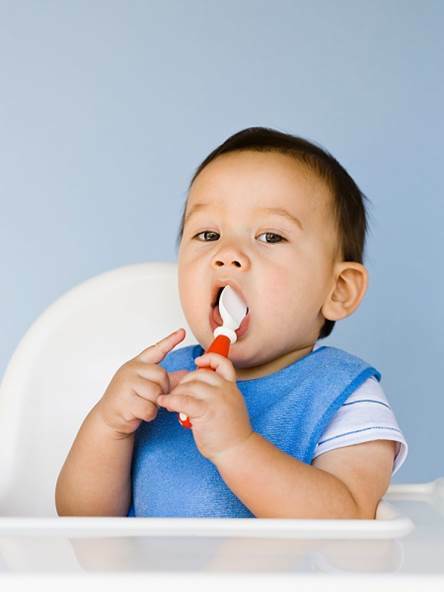 · 1 spoon (5ml) of fruit, after that you will increase to ¼ and ½ bowl (1 bowl = 240ml) and babies can eat 2-3 times. 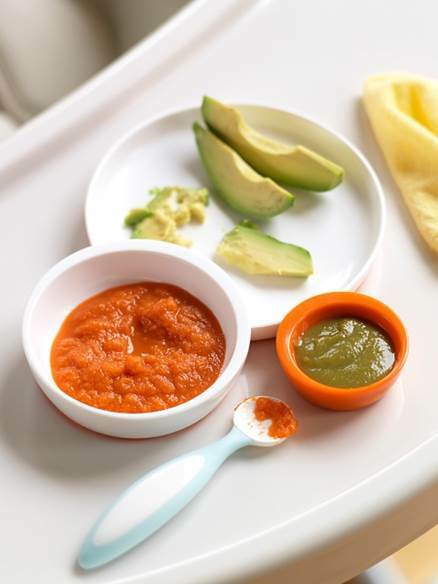 · 1 spoon (5ml) of vegetable, after that you will increase to ¼ and ½ bowl and babies can eat 2-3 times. You should let babies eat one dish continuously within 3 days and after that you will change to the new dish. This thing will help you recognize that which dishes your children will eat well and children can have allergy (if have). You should let babies eat one dish continuously within 3 days and after that you will change to the new dish.